Derek Hough, an Emmy Award winning choreographer and New York Times best-selling author, is up next for Indiana State University's Speaker Series at 7 p.m. Feb. 18 at Tilson Auditorium. Hough will open up about his story and transformation from a bullied child to an accomplished performer and coach. His experiences in dance have taught him the importance of a positive outlook, how to channel his creativity and how to face fears head-on. Hough's book, "Taking the Lead: Lessons from a Life in Motion," was deemed a New York Times best-seller and discusses the challenges he has faced throughout a lifetime of dance. With experience as a judge on "World of Dance" and winner of previous "Dancing With the Stars" seasons, he is sure to bring lots of advice on overcoming obstacles and pushing through when things get tough. Hough's presentation will be free and open to the public. His book will be available for purchase, and a book signing will follow his presentation. For more information, call 877-ISU-TIXS or go to hulmancenter.org. Media contact: Jennifer Cook, assistant director of Hulman Center facilities, Indiana State University, 812-237-3770 or Jennifer.Cook@indstate.edu. 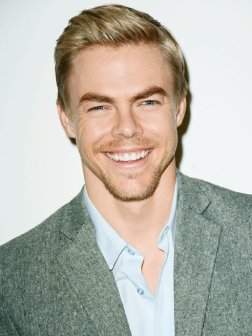 Derek Hough, Emmy Award winning choreographer and New York Times best-selling author, will speak as part of the ISU Speakers Series at 7 p.m. Feb. 18 in Tilson Auditorum.